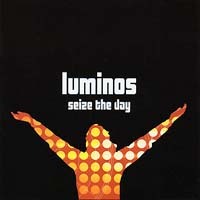 Luminos hail from the rural hinterland of north Essex county in England. Drive north east from London, and you come to a land of sweeping skies presiding over vast fields, sloping gently and inexorably to the sea. It's a long-occupied land, a place which the present cannot obscure the past for long in. Its gloss rubs off easily to betray something far larger, deeper and timeless. In keeping with the adage that the best things do what they say on the box,these songs measure this land's culture and essence in the Luminos collective's focus on love, life, loss, reward. Their mutual love of driving, symphonic progressive rock is evident.Notwithstanding respect for contemporary acts such as Jadis, IQ and Mostly Autumn, their influences in the music of forebears from previous decades (classic Brit prog line-ups Camel, All About Eve, Caravan as well as Canada's Heart amongst them) are equally prominent in this fine debut. "Melodic progressive rock that focuses more on melody and song arrangement than over-indulgent displays of flash musicianship. And all the better it is for it. Overall, a fine debut full of memorable, well-played songs."